A-HOTEL.com - Luxury and cheap accommodation in Staraya Usad'ba, Russia. Prices and hotel, apartment booking in Staraya Usad'ba and surrounding. Tasos Hotel offers rooms in Odintsovo. The accommodation provides a 24-hour front desk and free WiFi. Offering free WiFi and city views, Apartments Zhit Zdorovo on Chistyakovoy 12 is an accommodation located in Odintsovo. Guests staying at this apartment have access to a balcony. Featuring accommodation with a balcony, Apartments Zhit Zdorovo on Kutuzovskaya is located in Odintsovo. The property features city views and is 22 km from Moscow. Set in Odintsovo, Hostel Dom offers free WiFi. The property provides a 24-hour front desk. Апартаменты Одинцово is set in Odintsovo. Guests may enjoy the free WiFi. Apartments Zhit Zdorovo on Govorova 32 is located in Odintsovo. Guests staying at this apartment have access to a fully equipped kitchen. Situated in Odintsovo, 21 km from Moscow, Hotel Dom features air-conditioned rooms with free WiFi throughout the property. Free private parking is available on site. 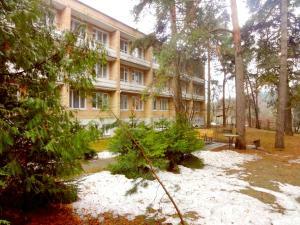 Hotel Vstrecha is offering accommodation in Odintsovo. Both private parking and free WiFi are accessible on site. Offering free WiFi throughout the property and free parking, Hotel Vyrubovo is set in Odintsovo. It features 24-hour reception and a games room with billiards. Holiday Home in Nemchinovka is located in Nemchinovka and offers ski-to-door access and barbecue facilities. Guests staying at this holiday home have access to a fully equipped kitchen. Boasting air-conditioned accommodation with a balcony, Apartment Zhit Zdorovo on Vokzalnaya 19 is located in Odintsovo. Guests can enjoy the free WiFi. Set in Odintsovo in the Moscow Region, 7 km from Moscow, MGIMO Hotel features a swimming pool and fitness centre. Guests can enjoy the on-site restaurant. Surrounded by greenery, Hotel Zagorodny Ochag is located in Odintsovo. Free WiFi access and free parking are available. Featuring free WiFi, Hotel Soyuz is located in Odintsovo. This 3-star hotel offers a 24-hour front desk and room service. Hotel Romashkovo Farm is situated just 5 minutes’ drive from Crocus City Mall. It is built in the style of an ancient Russian farm. Featuring accommodation with a balcony, Apartment on Mozhayskoye is set in Odintsovo. The accommodation features free WiFi. Set in Odintsovo, ApartLux provides accommodation with a balcony and free WiFi. The accommodation is 24 km from Moscow. Apartcity is set in Odintsovo. The accommodation is 26 km from Moscow. Situated in Novoivanovskoye, Отель "Старая Можайка" offers accommodation with free WiFi, city views, and access to a hot tub. Fitted with a balcony, the units feature a flat-screen TV and a private bathroom with free toiletries.